Mastband is NotSpot’s new fibre beating solution. It uses the backbone of the UK’s masts which is planned to cover up to 98% of the UK landmass by 2020. With Mastband, NotSpot brings fast, low latency alternative broadband to areas where standard broadband just can’t reach. 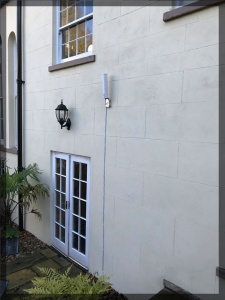 Mastband can bring up to 90Mbps into your home with no new phone line or huge dishes, just a small antenna on your wall and a modem in your house. As we operate our own Private Network (VPN) all our devices are capable of having ports opened for port forwarding. 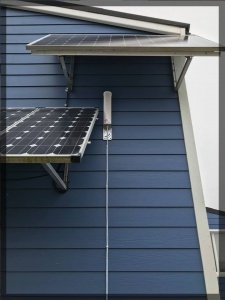 You can manage anything remotely form CCTV, home lights to things like business servers and even farm feeders. Mastband is fully configurable to run VoIP services from single users through to fully hosted business grade solution. Local number or even transfer you existing land line number for a seamless phone service with lots of advantages. With the expansion of the 4G network the coverage is growing at a rapid pace with targets being set to have 98% landmass coverage by 2020 . We already see a greater scale of coverage than any other broadband technology available to day including telephone, cable and line of sight technologies. Our devices are capable of multi sims, what this means we don’t have to be tied to one supplier for back haul (Broadband) and in mission critical environments, if there is a network issue, we can activate the system onto another provider without the need to of an engineer to visit to swap sims and reprogram. Super fast fibre beating speeds are available with our Mastband service. Don’t make the mistake thinking our Mastband service is the same as standard 4G kit. 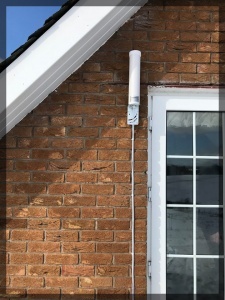 With clever technology the Mastband device bonds multiple strands of the 4G signal producing a robust super fast connection. We offer the largest data packages available on the EE platform. If you take Ofcoms latest information that indicates an avid internet using family will use 85GB on average. Our available packages are up to 1TB (1000 GB). All Mastband devices are activated on to the NotSpot private network (VPN). Being part of a network gives the distinct advantage of remote monitoring and management IE little need for onsite or return to base repairs as most issues, if any, can be resolved remotely. We can also do firmware upgrades remotely. Unlike other technologies Mastband is not a relay radio service which has multiple points of failure. With very few elements required to communicate to broadband the Mastband is the most resilient radio service available today. The Mastband device is in perpetual communication with the mast which is designed for mission critical applications. The Mastband is self-righting and is an always on service which means that Mastband will perform whenever you need it. NB Data increases/upgrades are specific to service IE subscribe to the Essential service the maximum current data is 50GB, subscribe to Mastband and the current maximum data is 1TB. It is very important that it is understood there are no migration routes from Essential to Mastband. 30 day notice subscriptions also available, please contact us for details. We’re changing the way we talk about headline broadband speeds, from ‘up to’ speeds to ‘average’ speeds. • At the moment, all companies advertise broadband using ‘up to’ speeds (e.g Fibre up to 38Mb/s), which is the maximum speed that can be achieved by at least 10% of customers. 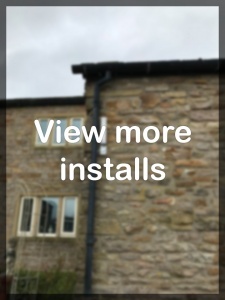 We still operate our 10 Mb/sec installation guarantee IE we will not hold you to contract if we can’t achieve at least a download of 10 Mb/sec at point of installation.